I couldn’t choose just one, so…. 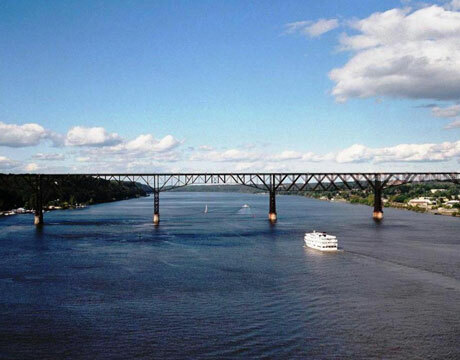 New England bridge – Mid Hudson bridge. Categories: architecture, black and white, bridges, Martha's Vineyard, Massachusetts, New England, New Jersey, New York, New York City, Pennsylvania, Photographs, rivers, weekly photo challenge | Tags: postaweek | Permalink. The prompt: You can find similar reflections and changes in perspective just about anywhere. From water and glass to metallic surfaces, share a photo that captures something reflected back to you in a way that made you look at your surroundings differently. Categories: buildings, cities, harbor, Martha's Vineyard, Massachusetts, New England, New Jersey, New York City, ocean, Photographs, restaurants, rivers, weekly photo challenge | Tags: postaweek | Permalink.